It’s not the size of your property that counts! Image: Paper Daisies are a lovely feature of the new plantings that are also home to echidnas, wombats and over 70 species of birds. When Nic and Lynne first moved to their 2.5 hectare property they had a total of seven trees. But properties both small and large can achieve great outcomes for biodiversity – it’s not the size that counts, it’s what you do with it! 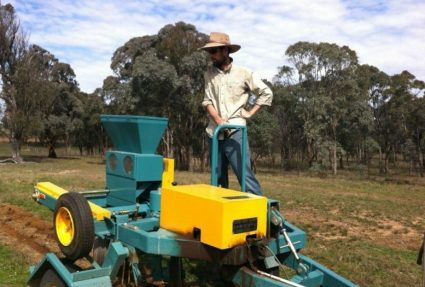 Nic and Lynne first participated in a Greening Australia community planting in 2006, along the local creek in Little Burra, South East NSW. 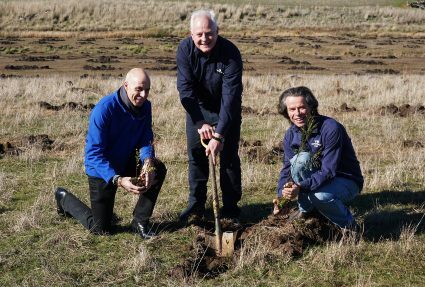 Members of the Little Burra Community Association volunteered alongside the Greening Australia Green Team to plant two hundred seedlings that day, supported by the Molonglo Catchment Group. Lynne and Nic partnered directly with GA the following year via the ‘Under New Management’ project. They started small, with a planting of 200 native tubestock. But Lynne and Nic had big plans to revegetate large patches for local fauna, and their initial success fuelled their enthusiasm. They went on to plant another 500 seedlings with the assistance of several projects including Good Neighbours, Sustainability on Small Farms and Bridging the Gaps. Lynne collected seed and propagated many additional plants from cuttings, and planted these on the property. She also translocated some species to fill gaps and expand ground cover. This method was particularly successful with weeping grass (Microlaena stipoides), which has now spread over parts of the property. This is a high quality native species for fauna and livestock. They also incorporated native species into their garden landscaping. Lynne says one of the secrets to their success was watering the plants for their first 18 months. The new plantings are now providing habitat for native fauna including echidnas, wombats and over 70 species of birds. Some small birds and cockatoos have been seen nesting in the revegetation. The revegetated rocky knoll on their property is now thriving with Kurrajongs, Snow Gums and Black Wattle. When she retired in 2011, Lynne became a regular volunteer in our nursery, which she says was her way of ‘giving back’ for all the advice and assistance she had received over the years. 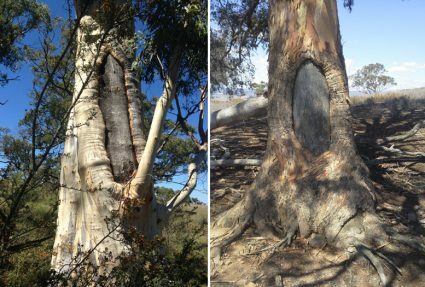 With decreasing property sizes near our major Australian cities and the rise of lifestyle blocks, landholders like Lynne and Nic demonstrate the fantastic biodiversity outcomes that can be achieved on only 6 hectares.